Hi everyone! I have been MIA the last few days! I have taken a short break to relax and sleep. The last few weeks have been so busy that some rest was in order. I slept in till 9AM yesterday!That never happens! It was glorious! I have also been catching up on Netflix. I have watched The Ranch and When Calls the Heart. What are some other great Netflix series to watch? 1. 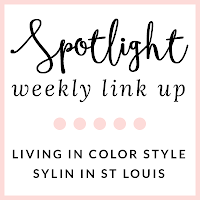 We kindly ask that you follow the two hosts: Elle from Living in Color Style, Jacqueline from Stylin' In St. Louis, and our guest host Claire of Casual Claire! 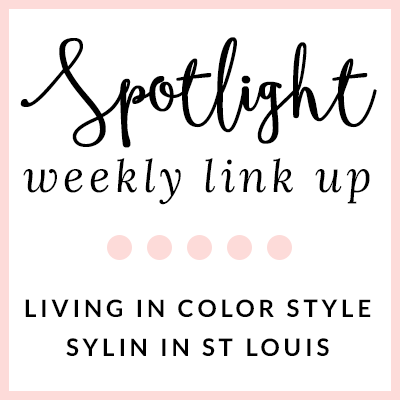 Spotlight: Our spotlight of the week is Bailey of Here's the Skinny! This neutral look that Bailey put together is perfection! She incorporated fall style and neutral perfectly! 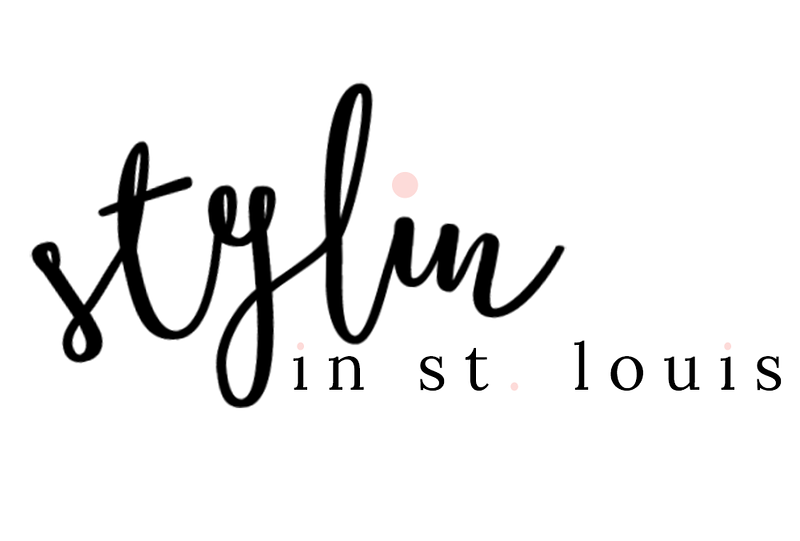 Be sure to check her cute blog! 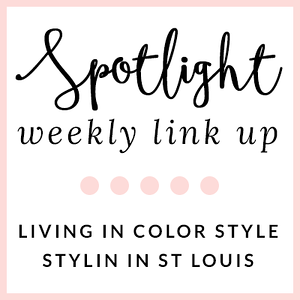 Next week: Next week our spotlight weekly theme is fall dresses! Thanks for linking up! See you next week! Such a perfect neutral jacket, I think it pretty much goes with everything! Chic, classic and oh so cute!! You look darling! Great jacket! Love this classic look, so cute. This is such a cute, classic look! Love your jacket! Love the sleeves on that moto jacket! Gorgeous fall look! Catching up on sleep is great. I love that jacket, great color too. The one show I truly suggest to watch on Netflix is "Wentworth". Hope all is well, Jac. 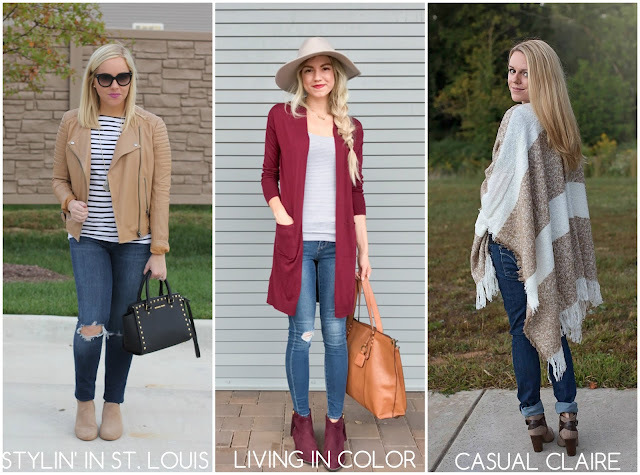 Love this timeless Fall style!!! I love your jacket!!! Such a cute fall look!! Such a great look! I love your jacket. Stripes are always a favorite of mine! Especially when it's black, white, and tan together. Looks great! Ah ripped jeans! I always love a good pair of ripped jeans! I love this look! I am in love with your jacket! Perfect! Need a jacket like this in my closet- such a workhorse piece! You're jacket is so cute! And if you like When Calls the Heart you would love Chesapeake Shores on Hallmark- it's the sweetest new series! So nice how you mixedup this outfit! 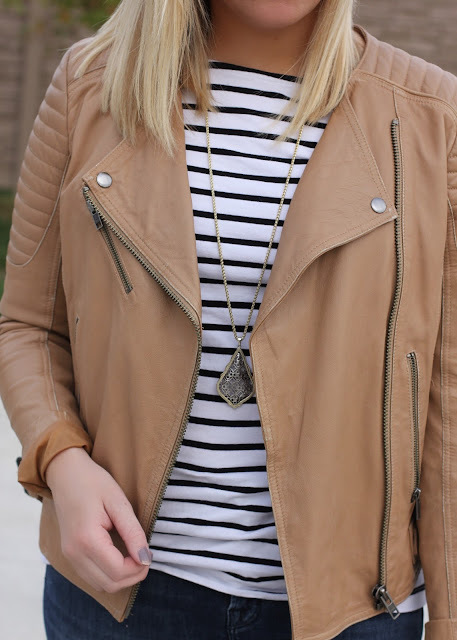 Love the jacket and the stripped top!